View Poll Results: Best Videos of Poll E? Editors and Gameplay contributors (you count as GP contributor in up to 5 man tages) can not vote for their own videos. Last edited by ohem; 01-15-2015 at 08:11 AM. Of these I feel LBYL4 stands apart. To me it's just such a massive video; a finale of a 4 volume series that has inspired many people in the Halo community. So LBYL4 gets my one and only vote. I feel like Iron Sky is pretty underrated looking at the results right now. Loved that video, had a great feel. 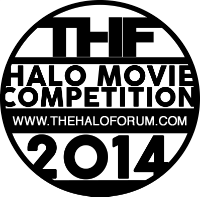 Member of the Halowheelmen.com community. Echoes during The Wake Up of the Immortal who Looks Before He Leaps into the Iron Sky. Immortal Part III all day baby!